Our Motoring Archive holds two bound scrapbooks charting the motoring career of Lilian Roper from 1914 to 1938. These two scrapbooks, along with a donation of various presentation shields and medallions, tell a remarkable story of a woman considered a pioneering motorist of her time. The scrapbooks were clearly assembled with great care. Lilian included a range of photographs, newspaper clippings, racing event results, details of tests, certificates, letters and adverts. In articles where she is mentioned, she has neatly underlined her name in red. She also included several articles on female drivers and women in motor racing. Lilian learned to drive in 1909 and went on to drive a variety of cars from a wide range of manufacturers. She bought a 2-cylinder Enfield Autolette in 1913, followed by a 10-h.p. 4-cylinder model, and then a 1913 baby Peugeot (the paintwork of which she renovated herself). In 1921 she bought a two-seater touring AC, replacing that with another model a year later. Other cars driven by Roper include a 10.8 h.p. McKenzie, a 10.9 h.p. Singer, a 12 h.p. Armstrong-Siddeley, a Triumph “Gloria” coupé and a drophead coupé M.G. ‘The Motor’ magazine stated in a 1923 interview with her that over the previous 10 years she had driven over 150,000 miles. Fraser was coming home from a job, when the bombardment started again and a bomb dropped in front of her, and managed to hit her in three places. She had just passed a hospital, so managed to struggle back there. She was shot in the arm and the leg and had a piece enter her liver; but she is wonderfully well considering. After the war, Lilian replaced her family chauffeur and maintained the family cars. She also built her own garage, complete with tools and equipment (having already built another in 1913), the work included personally digging a 6ft hole for waste water! Lilian taught a number of men and women to drive, concluding that women were more adept pupils with a lighter touch on the controls. 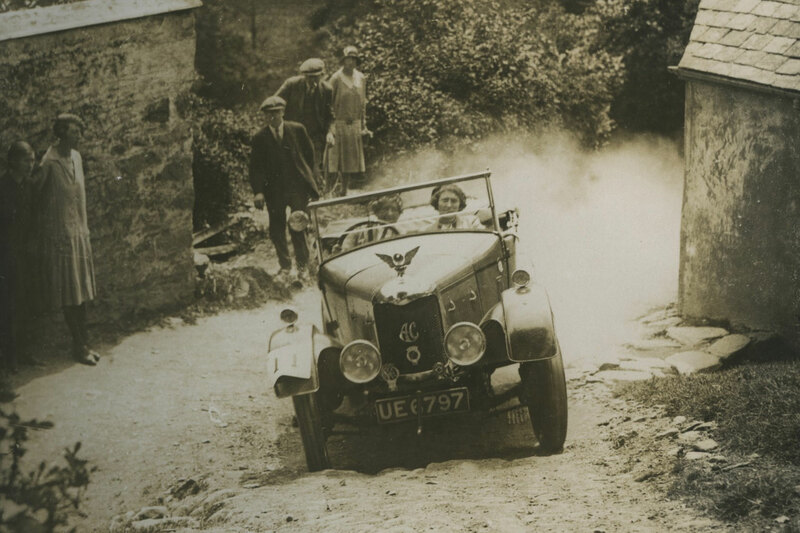 She was viewed by many as one of the best trial and rally drivers of her time, and was known for her daring and skilful driving. A frequent driver at Brooklands, she recorded a time there in 1923 of 82.23 mph in a 4 cylinder AC, the fastest time ever by a woman. AC Cars were so impressed they had a “small silver trophy” made to present to her. The letter from AC Cars congratulating her is proudly pasted into the scrapbook. The letter interestingly notes that Lilian had never seen the Brooklands track until the day before the trial. 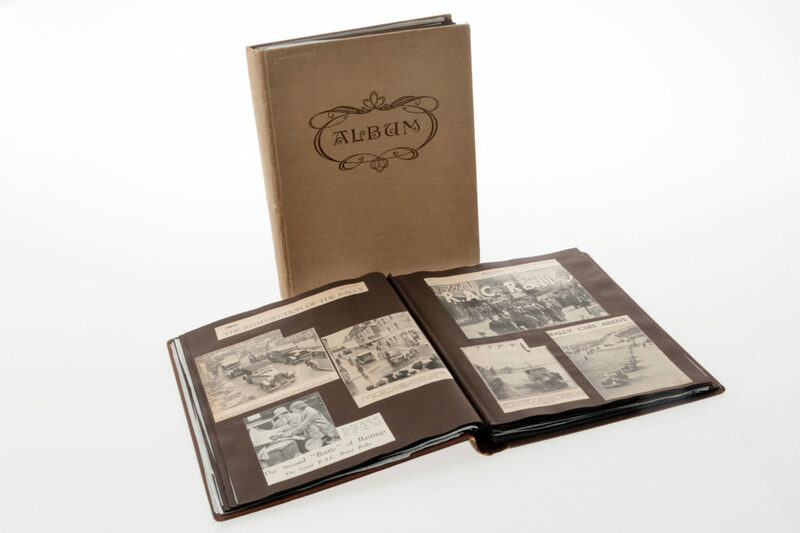 Lilian details in her scrapbooks the many prizes, trophies and medals she achieved through a variety of competitions such as hill climbs and reliability trials, in addition to concours d’elegance honours. She was Honorary Secretary of the Midlands Light Car Club. It was highly unusual for a woman to be in a role of this nature at the time. Judging by the clippings she was clearly considered an authority and frequently wrote to motoring publications, receiving praise from other correspondents about her “sensible comments”. 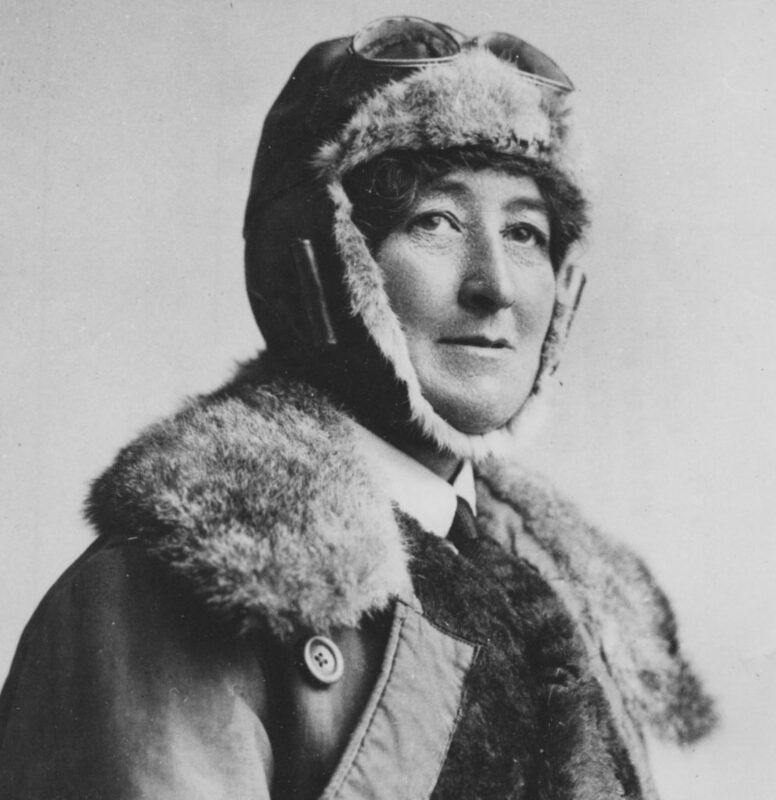 Like many women of her era (and it must be said, class) Lilian Roper was able to gain independence and freedom through motoring, with the First World War acting as catalyst for female emancipation in many areas of life. Pioneers such as her helped to bring wider acceptance of women in the driving seat; with more and more women emboldened to assert their rights to the freedoms so long denied to them. Lilian Roper would have been a role model to them and not just when she was behind the wheel.